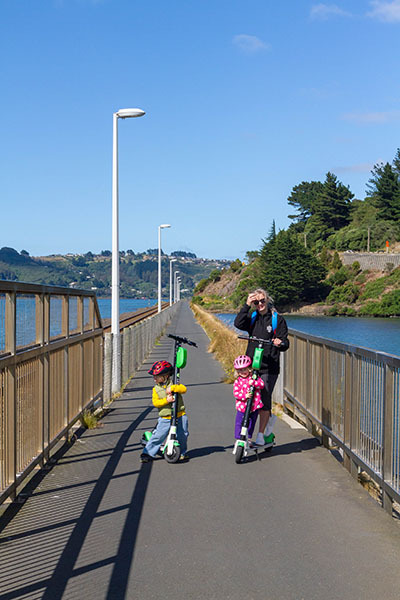 The West Harbour Recreation Trail is a great ride or walk for any age, I would recommend this on a day without wind, it is absolutely stunning when the harbour is flat and glossy. The Trail can be started from a number of locations, including the Yacht club and the Ravensborne Yacht Club which both have ample parking. It is a down and back trail so you come back the same way, and the trail passes by lots of interesting history with interpretive panels along the way. 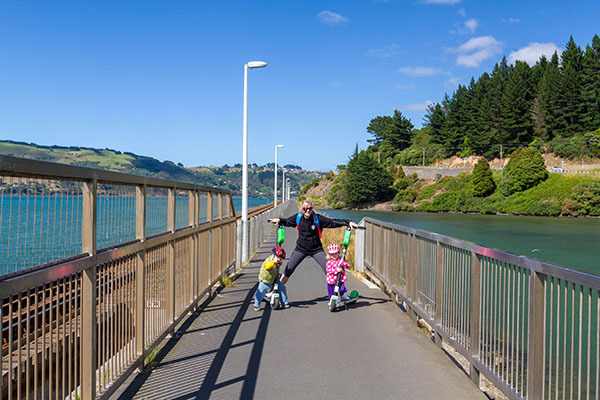 You get to pass under the Ravensdown intake bridge, and the site where the "Gumboot Revolution" began back in the 1970's. 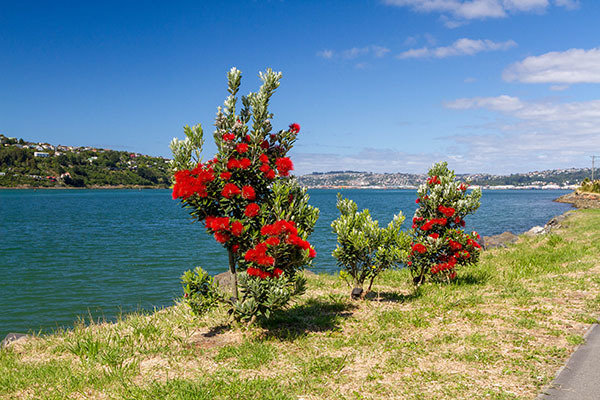 You will also pass by 'Bloody Jacks Point' that was named after Tuhawaiki, a Paramount chief of the South Island, that was the leader of a commando group and owned a fleet of vessels that plied the coast for trade. This trail is perfect for Lime Scooters, as it is flat and has great scenic views the entire way. 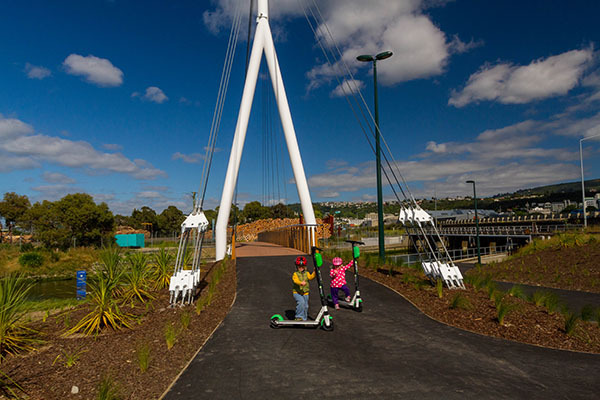 Park at the Otago Yacht Club or the Ravensbourne Boating Club or the Saint Leonards Yacht Club, or better yet, start at the Stadium and get a Lime Scooter to and from so you can end at the Cafe.